Ramblings By Judi: Thank You! I'd like to thank Lupen Grainne for featuring one of my photos - "Destiny" on this blog post. 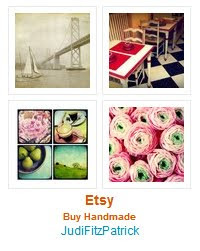 Please also check out Lupen's Honeytree Etsy shop where you will find many lovely items for sale. Thanks again, Lupen, for featuring my photo on you blog. Congrats Judi! I'm heading over for a look! Congrats on the blog feature! That's so cool! And what a great start to the week. I have seen Lupen's Etsy shop before & it's lovely! I have always loved HoneyTree work! Great shot to be featured, not sure I'd ever seen that one before. Kudos! Thanks, everyone, for stopping by with your very kind comments. Jenn, that was a shot I reworked for the fPOE book.